Cool off this summer with a glass of blueberry ginger-basil soda! 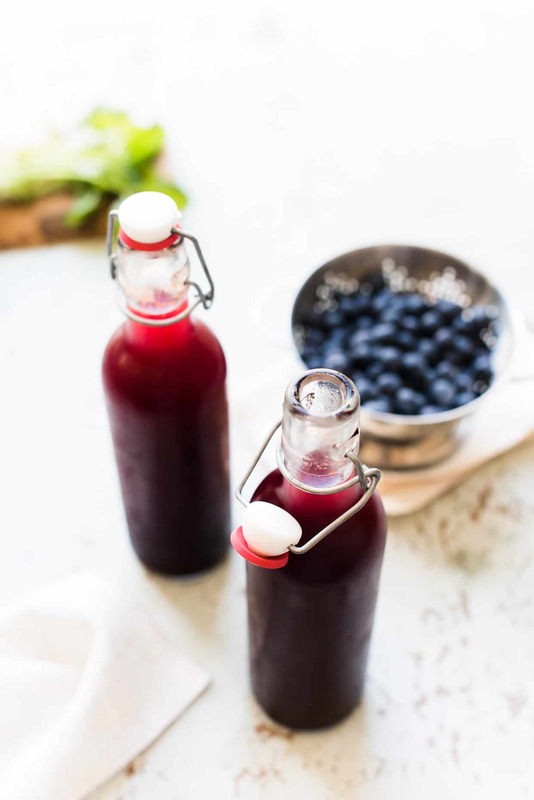 You’ll love this recipe for a blueberry syrup that is easy to make in advance, making it the perfect summer drink for picnics and barbecues. The town felt like a ghost town this morning. As I drove the kids to summer camp, the roads were wide open and all mine, and I felt like the town was either all asleep or perhaps they have all hopped on planes to kick off summer vacation without me. Either way, I am loving it — the peace, the quiet, the lack of traffic — it reminds me of our sleepy town when we first moved here. Summer finally got the memo, and with our first over 90-degree weather weekend, with nights that were actually made for sitting outdoors, it felt like a good time to sip on something cool and summery. Have you ever made a homemade blueberry soda? Whenever I walk down the beverage aisles with more flavored waters and sodas than I can dream possible, I am reminded that it’s so easy to make at home! 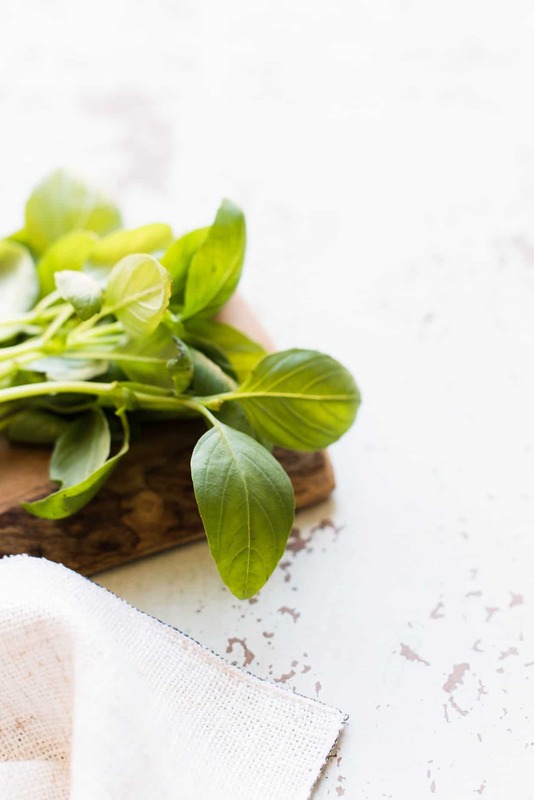 The beauty of it is you can make a blueberry ginger basil syrup in advance, and when you’re ready for a glass, all you have to do is pour it over ice with some club soda! This makes it perfect for barbecues and summer picnics, or if you prefer, quiet summer days, all by yourself. 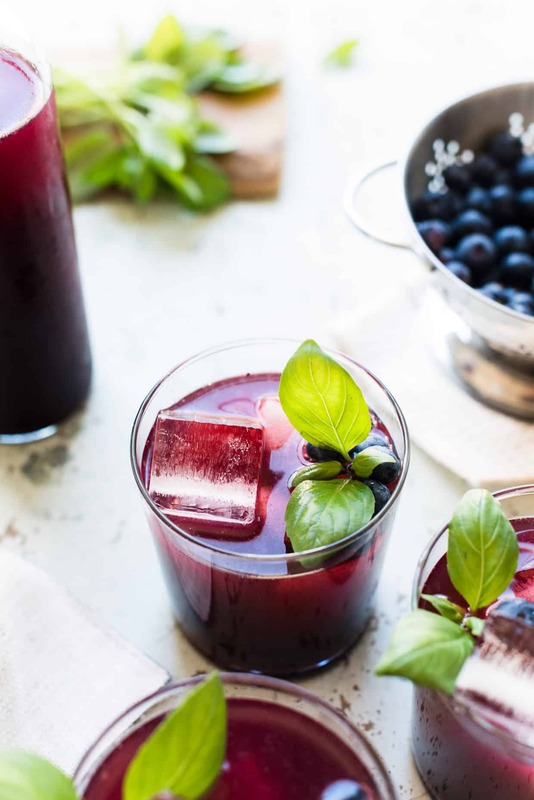 Cool off this summer with a glass of blueberry ginger-basil soda! 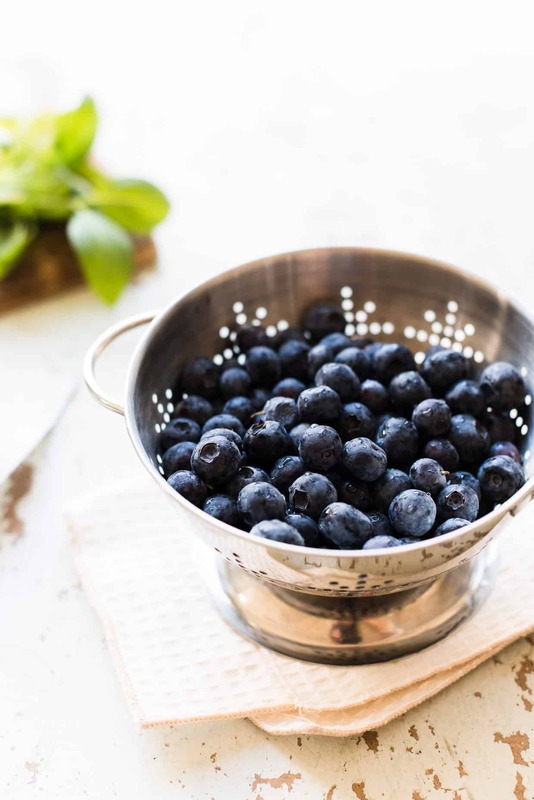 You’ll love this recipe for a blueberry syrup that easy to make in advance, making it perfect for picnics and barbecues. Combine water, blueberries, lemon juice, ginger, water and sugar in a small saucepan and bring to a boil. Lower heat, cover and simmer for about 20 minutes, adding basil sprigs during last 10 minutes. Let the syrup cool in the refrigerator. Strain, really taking the time to press the fruit in the strainer with a wooden spoon. This can be made a few days in advance and kept in a tightly sealed container in the refrigerator. 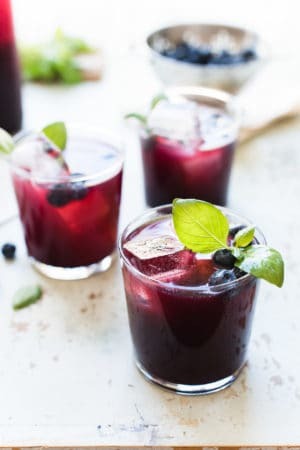 Pour 1/4 cup blueberry ginger-basil syrup into an ice-filled glass. Top with club soda. Enjoy! I love this, what a perfect summer refresher!